Trying to use ultra-short throw projection in high ambient light can create issues such as hotspotting, and there hasn’t been a focused solution. Until now. Draper’s TecVision XH800X UST ALR is a premium ambient light rejecting surface formulated specifically for use with Ultra-Short Throw (UST) and short throw projectors in moderate to high ambient light applications for improved contrast and color saturation. Certified by the Imaging Science Foundation (ISF) for color accuracy, this surface rejects 57% of off axis ambient light while supporting extremely wide viewing angles. Available in NanoPerf up to 102” image height, the TecVision XH800X UST ALR works with lens throw distance ratio of 0.25:1 or longer for best brightness uniformity. Available in sizes as large at 23 feet by 67 feet wide, TecVision surfaces offer unparalleled performance and features that set them apart from the competition. Boasting better off-axis performance than similar products, TecVision surfaces offer minimal variance in gain spec, and optimal uniformity for better ambient light performance qualities. 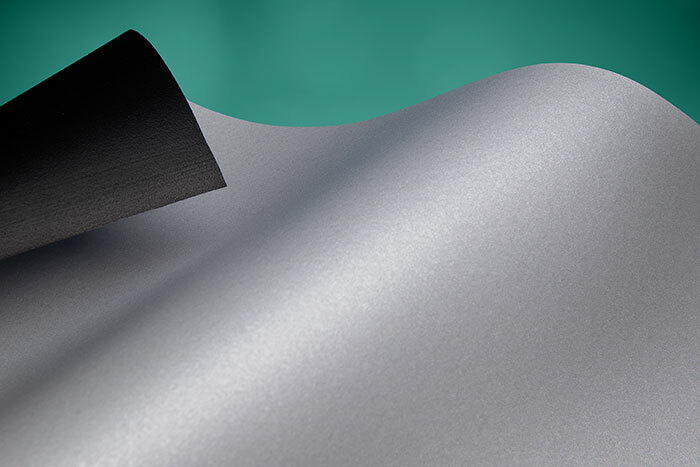 All TecVision surfaces are engineered for high contrast, precise resolution, color accuracy and the broadest possible view cone while providing superior quality, consistency and uniformity.